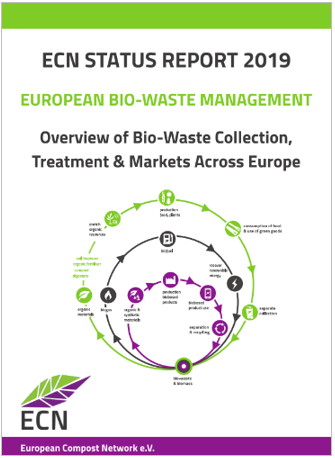 On the occasion of the 7th Nordic Biogas Conference, which will take place from 9 to 11 April 2019 in Oslo, ECN has published its first "STATUS REPORT" on European bio-waste management, summarising the extent to which eighteen European countries collect bio-waste, process it in biological treatment plants and market the various compost and digestate products. For ECN members, the PDF online-version is available for free on the ECN website in the internal part. Non-members can order the electronic online-version for 50 €. It is also possible to buy the printed version for 75 € plus shipping costs. 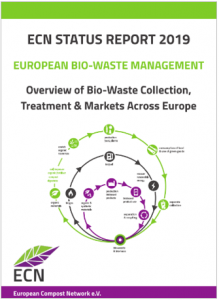 For more information concerning the ECN STATUS REPORT, please send an email at the ECN office: info@compostnetwork.info.